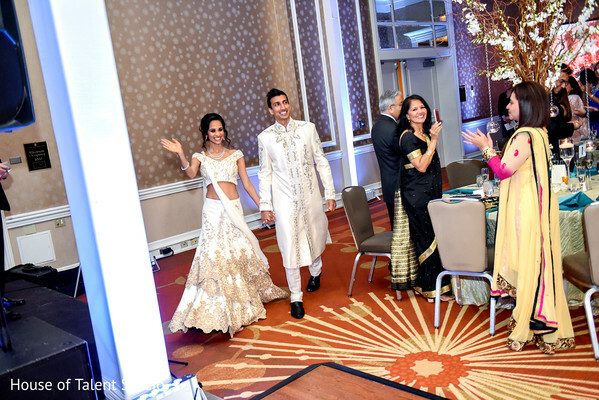 We're back at the Hyatt Regency Long Island to see all the magic the incredible team at Touch of Elegance Event Planners has waiting for us at this fabulous Indian wedding reception! 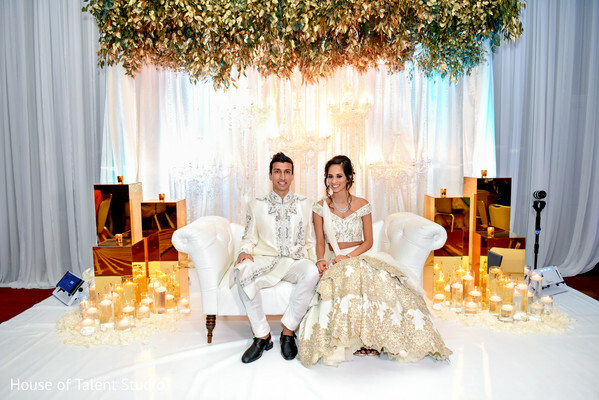 The event's color scheme matched our Indian bride's lengha, with white and gold flowers and decorations by Design House Decor. 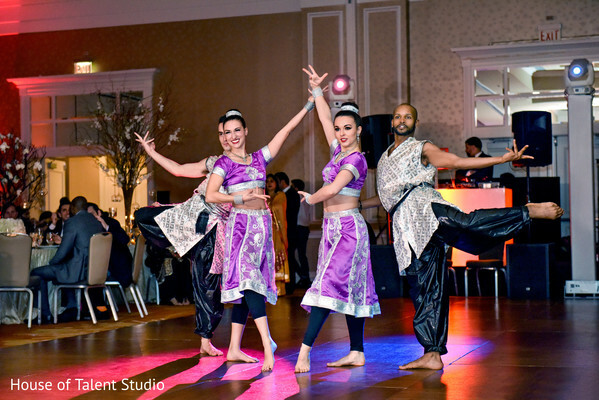 Our Maharani was as dazzling as all the decor, with a magnificent makeup look from KC Makeup by Karuna Chani! 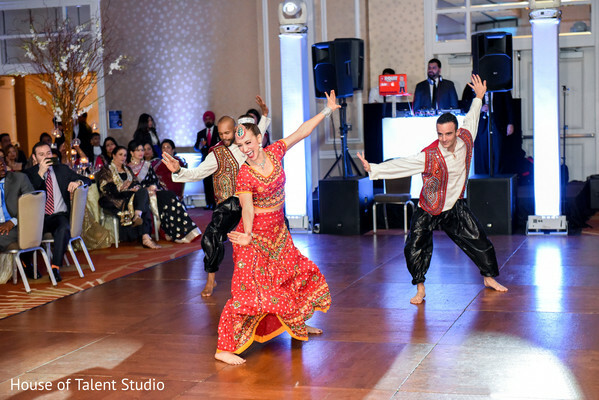 As for entertainment, there were multiple dance performances, as well as the fabulous DJUSA playing phenomenal party songs on the dancefloor! 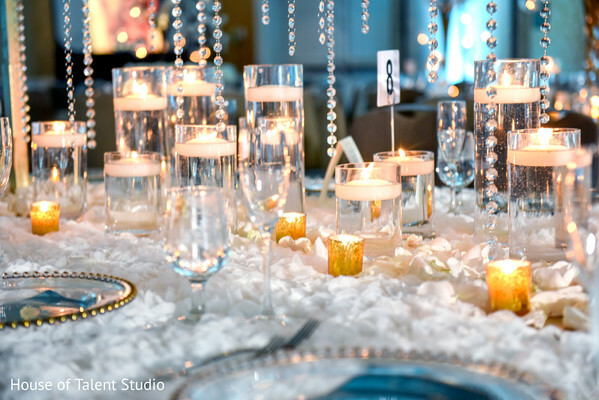 Check out the rest of House of Talent Studio's spectacular photos from the reception in the full gallery! Have an amazing weekend, Maharanis! 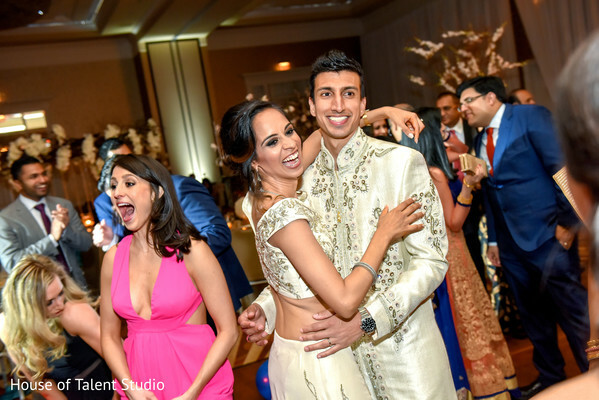 See you on Monday for more Indian wedding magic!